Dr. Brad Kershner, Head Teacher of the Carolina Friends School, will lead a pair of talks about parenting and education in the 21st century. All are welcome to attend one or both talks. - Here are a three important (and unpleasant) facts about underage drinking: - 94% of NC youth think that underage drinking is a problem. However, less than half of NC parents think that underage drinking is an issue. - More teens die as a result of underage drinking than all other illicit drugs combined. - The average age that most teens drink for the first time is 14. Before school lets out and kids have extra time on their hands, hear from experts at the Campus and Community Coalition about how to reduce the negative impacts of high risk drinking. This talk will arm parents with research on the developing mind and body, and provide evidence-based strategies for talking with young people about these difficult decisions. Ann Murphy is a licensed clinical social worker providing psychotherapy to individuals and families. She has been serving the Orange and Chatham areas for over a decade and has worked in various settings (community mental health, public school, and private practice with both groups and individuals). For the past several years, Ann has been working within the public schools to provide Dialectical Behavior Therapy (DBT) to high school students. DBT is designed to teach the information and skills required for better management of stress, regulation of emotions, and healthier relationships. Jim Wise MSW, LCSWA Jim Wise has been working as a social worker in public schools for over 30 years. For the past 13 years he has served as the Student Assistance Program Specialist at Chapel Hill High School. In that role he works with students and families that are dealing with issues involving drug and alcohol problems as well as mental health issues that are impacting school performance. He has been the lead Student Assistance Specialist for the past 5 years. In that capacity he serves as the district liaison to numerous community coalitions and groups that work on issues of substance abuse prevention and education and issues relating to student mental health programming. Jim has also been an advisor with the group Students Against Violence Everywhere (SAVE) at the school, state and national levels for over 20 years. Lieutenant Nate Chambers: I grew up in Orange County and graduated from Orange High School in 1989. After graduating high school I enlisted into the US Army. I served 11 years in the Army before returning home. I started my law enforcement career with the Orange County Sheriff’s Office in 2001. 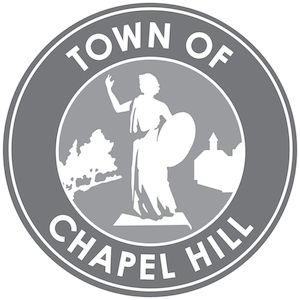 I worked briefly with the Hillsborough Police Department before coming to work with the Chapel Hill Police Department where I have been for 13 years. During my career I have been a Patrol Officer, School Resource Officer and Juvenile Investigator. Scarlett Steinert, MA, Director of Healthful Living and Athletics, Chapel Hill-Carrboro City Schools- Responsible for healthful living curriculum, at CHCCS for 10 years. Parents and caregivers welcome. Meeting Room A. Education in the 21st C.
- An overview of our current social and educational context, the increasing complexity of our social world and its impact on us and our children, and a framework for understanding social and cultural development. - The increasing complexity and stress in our families and schools, a research-based vision for how we should respond as parents and educators, and concrete suggestions for how to create supporting schools and communities.